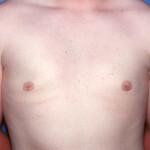 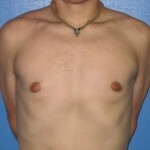 This patient in his early twenties underwent gynecomastia with liposuction. 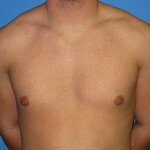 Patient in early 20’s underwent gynecomastia correction using liposuction alone. 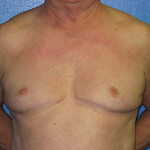 No direct excision was performed.